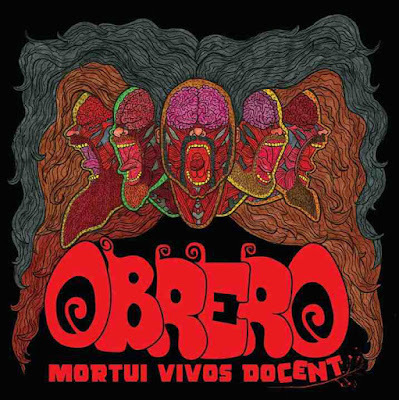 Obrero is Spanish for labourer or worker but the name of this Swedish band is taken according the rumours from the movie “Zombie Holocaust”. Legend says that Obrero was formed in 2007 by members of Phidion and Tailon bands, but it’s only a half-truth because most of band’s members have a really wider musical background. For example Obrero’s vocalist Martin Missy started in German thrash band Protector back in 1987, yet Obrero is stoner outfit working successfully with a combination of doom and psychedelic elements. What’s it about? I sincerely believe that Martin himself can find right words to describe it, so – greetings Martin. I’ve heard that you wanted to disbanded Obrero a few months ago! What happened? Fredrik, one of our guitarists (who is one of the driving forces in the band) got really sick and then the whole band just went into “deep sleep”. We had a gig in Stockholm scheduled for this year, but that didn’t happen, because Fredrik couldn’t rehearse / play. He’s such an important part of the band, that it wouldn’t have been the same, if we would have played without him. So let’s clarify it – what’s your plan for Obrero future? Well, of course it would be cool to write more songs, get them released on another album and to play live from time to time. But we will see what the future brings. 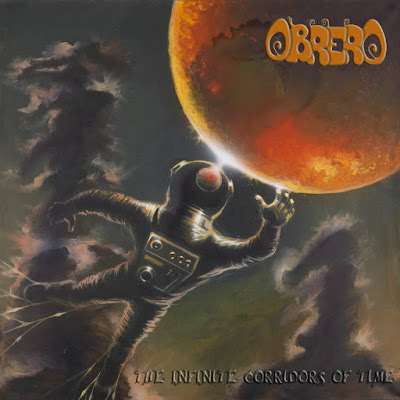 Obrero second album “The Infinite Corridors of Time” was released in 2015, what else has the band been doing during this year? 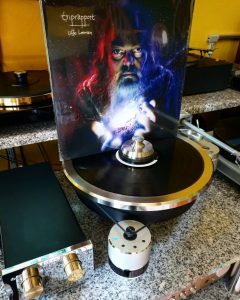 The “Infinite Corridors of Time” has some dirty approach alongside great guitar parties and some really deep keyboards arrangements; the album is heterogeneous yet solid. What did you want to put into it? I’m not sure if we wanted to put anything special into the songs that are on “The Infinite Corridors of Time”. We just wrote songs, that we liked, and in the end we think that it turned out really well. 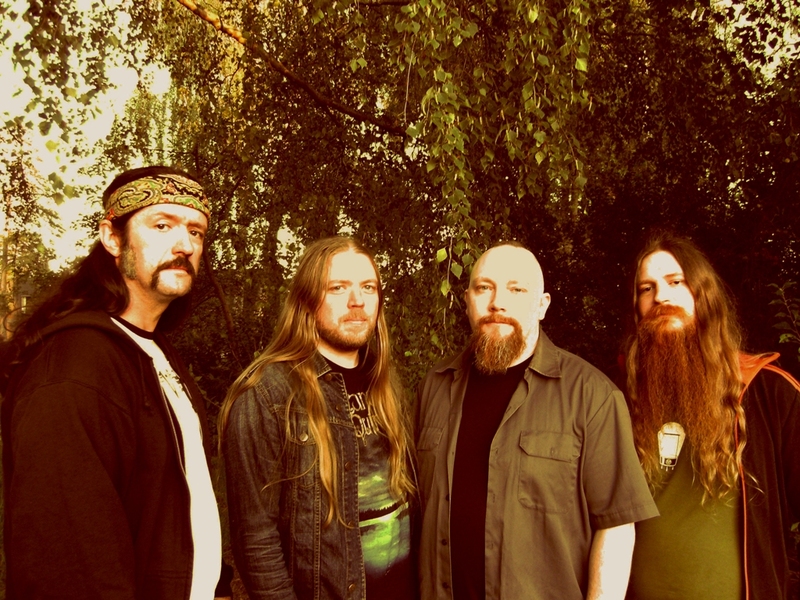 Our guitarist Fredrik once said, what is all about for him: “The RIFF!” And that summons it all up quite well. We try to write “catchy, hard riffs” and build the rest of the songs around them. 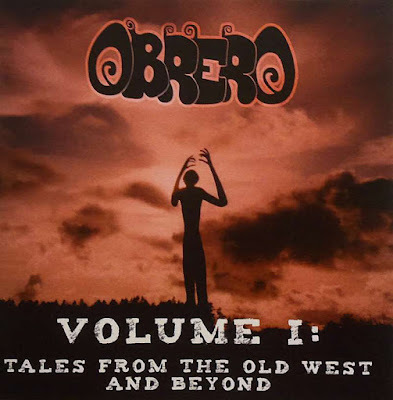 I think that Obrero isn’t typical doom / stoner band, how do you see your main influences reflected in “The Infinite Corridors of Time”? I would say that we are influenced by many kind of styles, because we listen to a lot of bands from different Metal genres. To name a few: Witch, Sleep, Motörhead, Trouble, Black Sabbath, Iron Maiden, Judas Priest, Goblin, Accept, and Electric Wizard. We also listen to Thrash-, Death- and Black Metal bands, but I don’t know if any of these bands have influenced us when it comes to Obrero. It’s said that after record of “Volume I: Tales From The Old West And Beyond” Obrero’s drummer Alex Zaino “went to Colombia and hasn’t been seen since. Up in smoke, killed in a cokebust or lost in the jungle. Nobody knows…” Didn’t you organize an expedition to find him out there? Hahaha, yeah that would have been something for the Metal-history books: “Members of Obrero start out on a search for their lost drummer in the jungle of Colombia.” I have to do a little spoiler here: Alex actually went to Colombia for a while, but he came back to Sweden and is, as far as I know, alive and well. Ha-ha! You have hoodwinked me man! I see that your bass player Magnus Karkea also disappeared after recording that album, how did you work over “The Infinite Corridors of Time” without Magnus and Alex? Was it much harder? Alex was replaced by Calle Sjöström in the summer of 2010. In the beginning of 2011 we got a record deal with Night Tripper Records and released our debut album “Mortui Vivos Docent” in July 2011. About a year later Magnus left the band to continue with other projects. The bass on “The Infinite Corridors of Time” was recorded by our guitarists Mathias and Fredrik. The work on both albums went quite well, despite the lineup changes. Your songs lyrics mostly deal with sci-fi topics. Don’t you find it ridiculous that today in 21st century themes of witchcraft, deviltry and horror stories are more popular as if we live in medieval age? I don’t find lyrical themes like witchcraft, deviltry and horror ridiculous. As long as the themes fit with the music (I couldn’t for example see Celine Dion singing about Satanism) and are well / cool written, it’s ok.
There’s song “Manchester Morgue” on “The Infinite Corridors of Time” album, and I guess it’s based on retro horror movie plot. What is its story? Do you have other songs based on films plots? 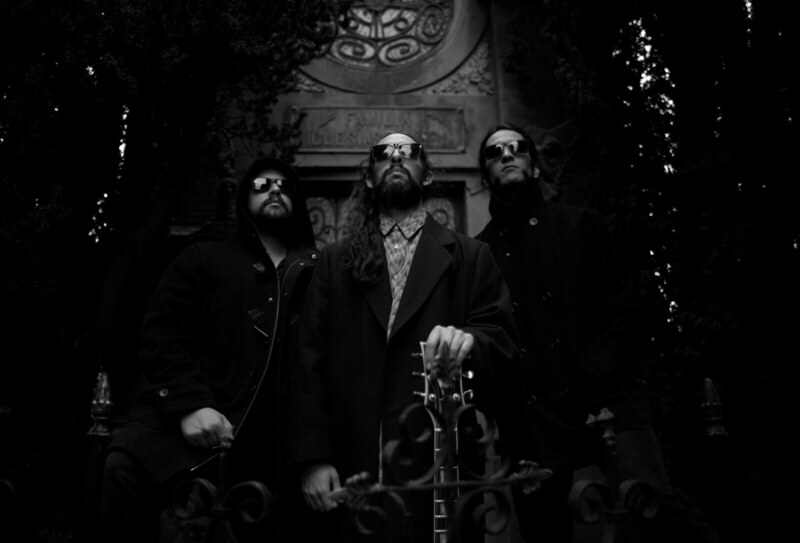 The story of the lyrics to “Manchester Morgue” is more or less identical to the story of the horror movie “Non si deve profanare il sonno dei morti” (from 1974), which in English was named “The Living Dead at Manchester Morgue”. The lyrics to our songs “Dark Star”, “Octaman” and “The Infinite Corridors of Time” are also inspired by movies / tv-series. Such a turn! Which movies were your inspiration for above mentioned songs? And why did you choose old school films? Can you name few modern horror movies which could compare with legacy of 70’s-80’s? “Dark Star” was inspired by the movie with the same name from 1974 (director: John Carpenter). “Octaman” is a weird horror movie with the same name from 1971. “The Infinite Corridors of Time” was influenced by the tv-series “The Time Tunnel” from 1966 / 1967. And personally I don’t think that most of the new horror movies can match the coolness of the old ones from the 70s and 80s. The only thing that has improved are the technical effects, but that doesn’t necessarily make the new movies better. Martin you did play (and still do) in a lot of bands, and most of these bands are more brutal than Obrero. How does experience of playing in these different outfits transfer into Obrero stuff? For a couple of years I was singing in three Death / Thrash Metal bands, alongside Obrero. At the moment it is only one other band (Protector). For me personally it is the experience of writing lyrics, that I have gathered through the years while singing in different bands, that was of a big help, when it came to writing lyrics for Obrero. You could say that I got a lot of practice in writing lyrics about all kinds of stuff through the years. Do you have songs’ lyrics which make you proud of? Oh, that’s difficult to say. All the lyrics I’ve written (a little over 100 so far) are “my special babies”, but if I have to name a few I would say “Charles the Hammer”, “The Wolfs Hook”, “Oneironaut” (Obrero), “Kain and Abel”, “Golem”, “Megalomania”, “Nothing Has Changed”, “Reanimated Homunculus”, “Xenophobia”, “The Dimholt” (Protector), “The Beast of Omaha Beach”, “Dr. Butcher, M.D.” (Phidion), “Coprophagia”, “Caught in a Morse” and “Gluttony Will Prevail” (Talion). By the way, what are your actual current projects? 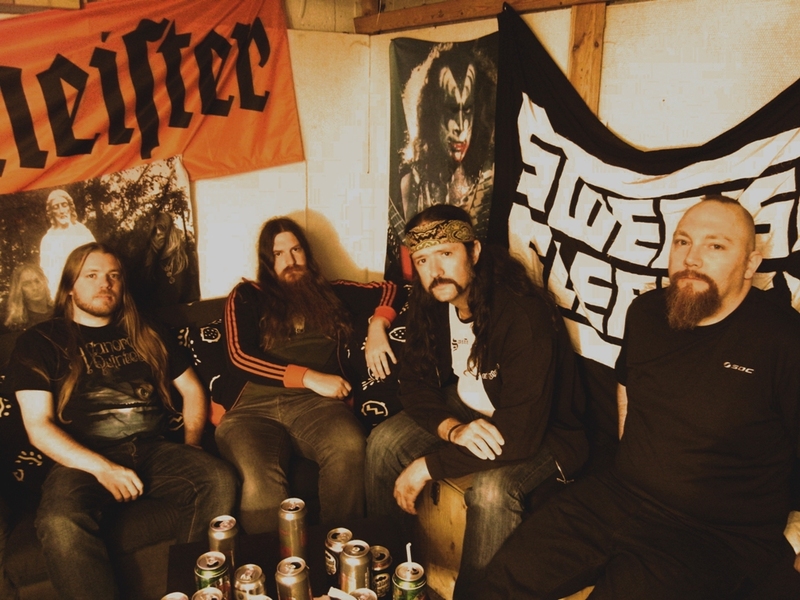 My main band is the Thrash/Death Metal band Protector, which I was a member of between 1987 and 1989 (in Germany), and which I resurrected together with three Swedish musicians in 2011. We released an album called “Reanimated Homunculus” on High Roller Records in 2013, and in February 2016 the second album of the new lineup (“Cursed and Coronated”) will be released on the same label. How did it feel to be in the band back in 80’s? And how does it feel now? What drives you to play metal today? Of course everything feels new and exciting when you try it for the first time. So the first years with Protector are very special to me for that reason. After my “comeback” as a musician in the beginning of the new millennium, I had probably a more grown up approach to it all. I would say today it is the love to Metal and to have the possibility to record records and play live that are the driving force that make me want to play music. And I have a kind of standard question about books – what were most influential books you did read in the school? There weren’t so many books, that I read in school, that I was influenced of, when it comes to writing lyrics. The only book I can think of at the moment is the bible, which we studied in religion-class. This class gave me an insight into to “read between the lines”, when you read the bible (like: Jesus probably didn’t make an actual blind man see again, but a person who was “blinded by hate / fear” to see “the truth / the right way”). Most of the books, that have influenced me as a person, I have read outside of school. Here are some examples: “Im Westen nichts Neues” by Erich Maria Remarque, “Tuntematon Sotilas” by Väinö Linna, “The Lost World” by Arthur Conan Doyle, the “Foundation Series” by Isaac Asimov, “Röde Orm” by Frans G. Bengtsson and the ten books of the series “Roman om ett brott” by Sjöwall / Wahlöö. Martin, let’s resume – what are your plans for Obrero future? Our drummer Calle and our guitarist Mathias left the band during the autumn of this year, so we are trying to restart the band now with only one guitar and the three new bandmembers: Magnus Wakander (bass), Kalle Tunander (drums) and Joakim Floke (keyboards). 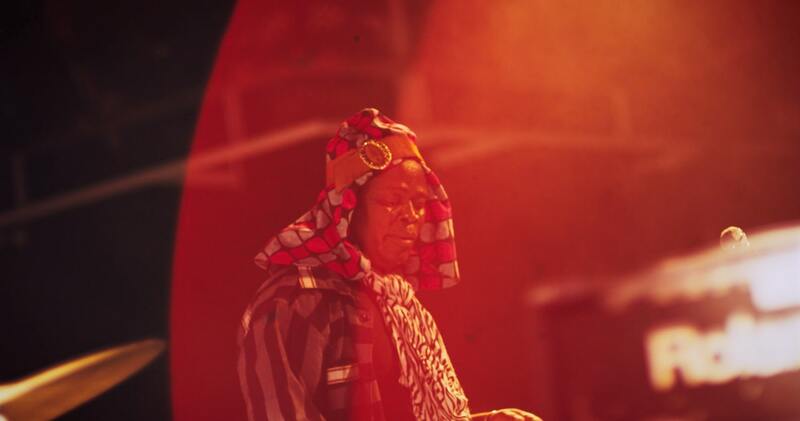 The goal is to play a gig in the beginning of 2016, and then we’ll see what happens after that. Are they releasing the second album on vinyl?